We talk to the organiser of the Children's Media Conference, Greg Childs. 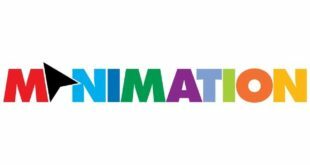 The Children’s Media Conference is celebrating its tenth anniversary this year and during the last decade it has built itself up to be a must-attend event for those working in kids’ media in the UK. Indeed, the strapline on its website simply says ‘You have to be there – everybody else is’. The mix of speakers, sessions and workshops – covering everything from UK tax breaks, funding, monetising digital content, the future of comics, how to make your audience laugh, freemium for kids, a chance to meet the commissioners from key channels and how to tackle the challenges of international co-production – attracts well over 800 delegates (850 headed to Sheffield in 2012 and the organiser is expecting the same again, if not more, for 2013). Every year, too, there’s a dedicated licensing session – this year entitled ‘Licensing out of the box’, produced by Walker Books’ Julia Posen and starring Michael Dee (Coolabi), Darran Garnham (Mind Candy), Anna Hewitt (Walker Books) and John Vasta (Bin Weevils). However, this one strand shouldn’t be the only reason that those from the licensing industry should make the trip, as we find out from conference organiser, Greg Childs. “I would say that about ten per cent of our delegates come from the licensing area,” Childs tells Licensing.biz. “I think that what we provide them is very early intelligence on the projects, and on the people who are coming through with those projects. They can be involved in conversations about regulations, the policies of children’s media, debates about standards, creative… we even have a session about how music and songs might be used in a show. There are two workshops that deal specifically with projects that are not completed – a co-production workshop and Polish & Pitch (which aims to give those involved the theory of what they ought to know and who they should be talking to) – affording licensing companies to get in at the very early stages, says Childs. Put Your Money Where Your Mouth Is – the Dragons’ Den-style session where developed projects are pitched to producers and IP acquirers with real money to invest – also returns. This year’s panel of ‘dragons’ includes execs from FremantleMedia Kids & Family Entertainment, BBC Worldwide Channels and Walker Books. Also this year, the CMC has been opened up to international broadcasters for the first time, something which is likely to swell delegate numbers even further than usual. Childs explains: “We’ve always had international guests who are friends of the conference and we recognise that while we were ‘the British conference’, it’s an international world that the Brits are working in. This year, UK Trade & Investment encouraged us to actually set up a day before the conference as the International Exchange. It’s certainly looking very likely the CMC will match, if not exceed, the success it has enjoyed in previous years. With the three days potentially proving to be very interesting and lucrative for visitors from the licensing sector. This year’s Children’s Media Conference runs from July 3rd to 5th in Sheffield.